Aaron is on the cover of the BestBuy S4.5 DVD (it’s the second half of the last supper photo). And he is on the cover of one of the dvds and on the back of the dvd box …. The new Chief Tyrol Minimate is now available for pre-order from Toys R Us and BigBadToyStore. The minimate is USD$6.99 from Toys R Us and USD$13.99 from BigBadToyStore. Toys R Us will not ship outside of the USA, BigBadToyStore will. If anyone is interested, BigBadToyStore are having a sale on the Deck Chief Tyrol Minimates. BigBadToyStore is located in the USA but they ship overseas. For anyone going to San Diego Comic-Con this year, Diamond Select Toys and Collectibles (DST) will be giving away a Chief Tyrol Action Figure for donors at the Blood Drive. Below is a copy & paste from the Action Figure Insider website. Diamond Select Toys and Collectibles (DST) is excited to announce plans to once again participate in the annual Blood Drive at this year’s San Diego Comic-Con! 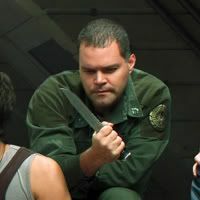 To emphasize the importance of giving blood, Diamond Select will be donating a limited edition exclusive Battlestar Galactica Season 3 Chief Tyrol figure as a giveaway for participating donors! 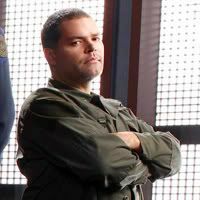 Chief Tyrol has been featured on Sci-Fi’s Battlestar Galactica since 2003 and remains a fan-favorite character. The figure has been limited to 750 pieces, and will only be available through the blood drive – they will not be on sale or given away elsewhere. In its 31st year, the Robert A. Heinlein Blood Drive has long been a San Diego Comic-Con staple. After science-fiction writer Robert A. Heinlein was ill, he needed several pints of a rare blood type. Following the illness, Heinlein created a personal rule that he would only attend conventions and sign autographs for those that donated blood. This started the Robert A. Heinlein Blood Drive at San Diego Comic-Con in the early 1970’s. Last year’s 847 pints was the most blood collected at the drive in ten years, thanks in part to Diamond Select Toys’ continued support and promotional action figures. “We are pleased to have Diamond Select on board to support the Blood Drive. 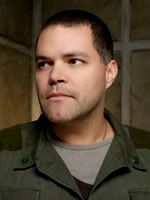 Their donation of such a limited edition collectible will certainly help the awareness and success of the annual event,” remarked Comic-Con Director of Marketing and Public Relations, David Glanzer. To register for the Blood Drive, stop by the Blood Drive booth at Comic-Con or visit the Comic-Con website, www.comic-con.org, for additional instructions and information. UPDATE: The below is from the Diamond Select Toys and Collectibles (DST) website. 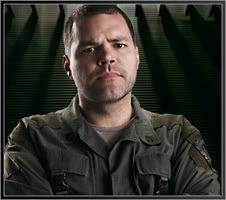 BSG’s Chief & DST Out for Blood! DST is excited to announce plans to participate in the annual Blood Drive at this year’s San Diego Comic-Con! 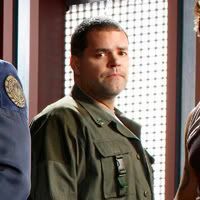 To emphasize the importance of giving blood, we will be donating a limited edition Battlestar Galactica Season 3 Chief Tyrol figure as a giveaway for participating donors! The wait is finally over. 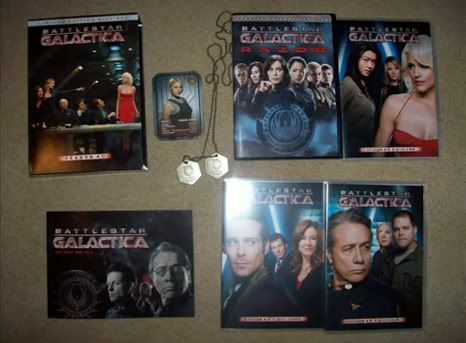 The set of 7 BSG character dog tags that I pre-ordered (and paid for) in Dec 2006, arrived today. The photo on the left was taken by Aaron of the Chief’s actual dog tags. The photo on the right is of the QMX dog tags. But they are the best replica dog tags that I’ve seen so far. Can’t complain when they cost less than USD$20. 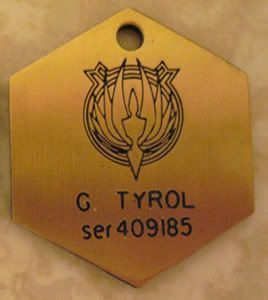 They are much better than those awful shiny dog tags that QMX are selling for USD$49.95 (see image below) and all the other fan made Chief Tyrol dog tags that I’ve purchased off ebay in the past. 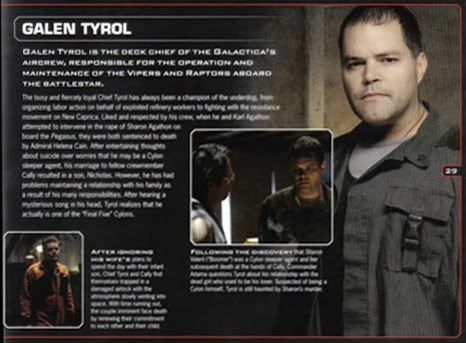 Below is a scan of the Chief Tyrol ‘character biography card’ that came with the dog tags. 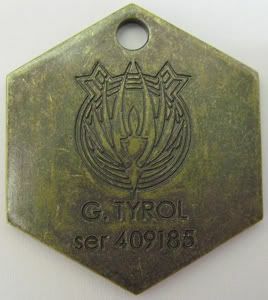 The Chief Tyrol Dog Tags (mentioned HERE) are now available for sale on the QMX website. The QMX Dog Tags have finally been released. These are the dog tags that they have been advertising since December 2006. The QMX website still has them listed as AVAILABILITY – TBA. The majority of websites are selling them as a set of 7 on pre-order for around USD$104. The only place I’ve found them for sale individually is at Battlestar Online and Forbidden Planet. UPDATE: I just received the latest QMx Insider email newsletter. They are selling the dog tags individually (or as a set of all seven) to subscribers of their email. Then they will be selling them to the public in “just a few days”. At the start of the email it reads …….. According to the Diamond Select Toys Newsletter (E-Spectrum No. 60), the Chief Tyrol Action Figure is their NUMBER ONE selling item. You can order the Chief Tyrol Action Figure from the Diamond Select Toys website (link below). Note: Orders are only available for customers who live in the USA. Click on the link above to order. NOTE: Diamond Select Toys will not ship outside of the USA. NOTE: Forbidden Planet International WILL ship outside of the UK. Below is a copy & paste from the Diamond Select Toys Newsletter (E-Spectrum No. 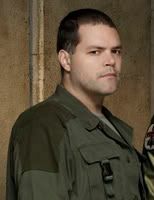 58). With the debut wave of Battlestar Galactica action figures shipping next week, this is your last chance to make sure you’ve pre-ordered the DST-exclusive Chief Tyrol figure! 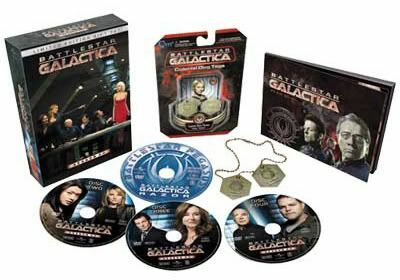 Shipping to stores on 12/19, this is your best shot at getting Chief under your tree this holiday season for that Battlestar Galactica super-fan on your list. 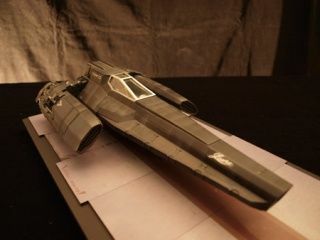 Don’t forget to also order the exclusive Helo from Action Figure Xpress and the limited Anders from Big Bad Toy Store! Click here to Pre-Order the Chief! NOTE: Diamond Select Toys & Collectibles are not able to accept non-US orders. The Chief Tyrol Minimates are now in store. You can purchase them from the BigBadToyStore website (and yes, they ship overseas). Click on the links below to be taken to their website. 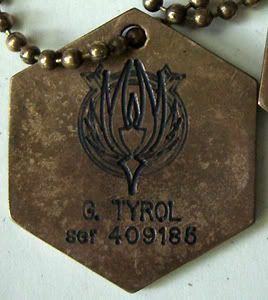 The Chief Tyrol on the right is more expensive because it is called a ‘variant’, which means that it is a variation on one of the characters already in this release. Only a limited number of the ‘variant’ figures are made and is therefore a collectible and more expensive. Awww, and how cute is this? 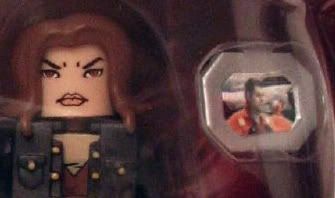 The Boomer minimate comes with a photo frame that has Chief Tyrol in it. The “Radical Confidential” page on the Diamond Select Toys website has posted a photo of the Chief Tyrol Action Figure in it’s packaging. Just as new Battlestar Galactica: Razor is getting ready to melt fans’ brains, our first assortment of Battlestar action figures is preparing to jump into stores nationwide later this month! We’ve been hard at work fine-tuning the debut assortment which features Apollo, Six and Hotdog – but we haven’t forgotten the Previews Exclusive Caprica Six, the DST Exclusive Chief Tyrol, Action Figure Xpress’ own Helo and Big Bad Toy Stores’ & Suncoast/F.Y.E.’s Sam Anders! 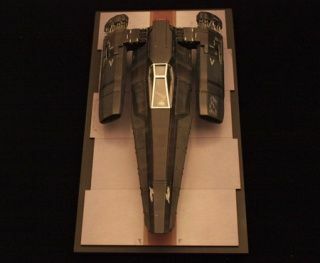 So while you’re waiting for the November 24th Razor debut, take a look at these new images revealing the never-before-seen packaging style for future Battlestar figures! We didn’t cut corners on these space-faring adventures! What’s that? The corners are actually cut? Well, we promise not to cut any corners that the television franchise hasn’t already cut… How’s that? According to the Diamond Select Toys Newsletter (E-Spectrum No. 55), the Chief Tyrol Action Figure is once again back at the NUMBER ONE spot for pre-ordered items. You can pre-order the Chief Tyrol Action Figure from the Diamond Select Toys website (link below).